Health enthusiasts, workout buffs, and athletes all need a way to monitor their health conditions before, during, and after physical activity. An ordinary analog watch can’t fulfil this need, not even one with chronograph functions. What you need is a fitness smartwatch with health monitoring features and activity tracking functions. The best fitness smartwatches do more than just tell your heart rate or the number of steps you’ve taken. Most of them usually offer ways to measure your current VO2 max, the calories you’ve burned, and the number of reps you still have to do to complete your daily exercise goal. They can also be used to play music, navigate a terrain, or even purchase goods through contactless payment features. 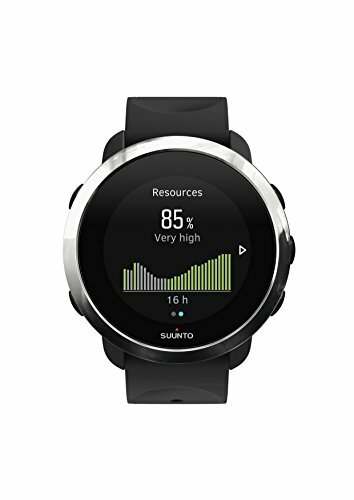 The Alta HR is one of the best fitness smartwatches that has an OLED display, an interchangeable rubber band, and Bluetooth connectivity. It features a heart rate sensor, a sleep tracker, an alarm, an odometer, and a gyroscope. It can be connected to your smartphone for mobile notifications. 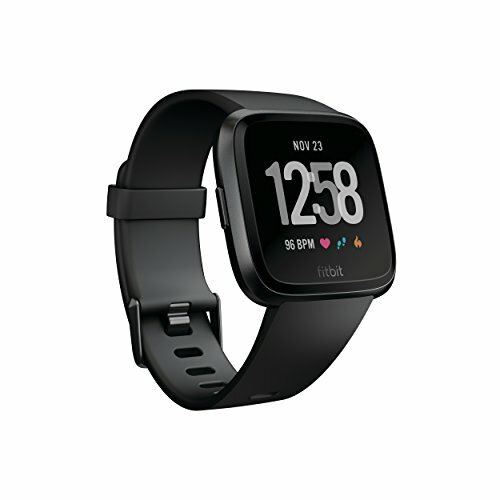 The 50mm Fitbit Versa has a tempered glass window and interchangeable straps available in different kinds and colors. It’s one of the best fitness smartwatches as it has an activity tracker, a heart rate monitor, a sleep sensor, an on-screen coaching function, and a phone-free music player. It can also be connected to your smartphone for real-time monitoring of distance and pace via GPS and for quick access to your favorite apps. 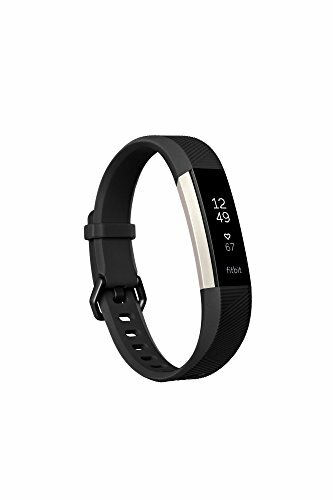 The M430 features a wrist-based heart rate monitor, a sleep sensor, GPS connectivity, an accelerometer, various sports profiles, an alarm, a stopwatch, an interval timer, Bluetooth connectivity for smartphone linking, and a Smart Coaching function which can help you track and achieve daily goals fitness goals with precision. 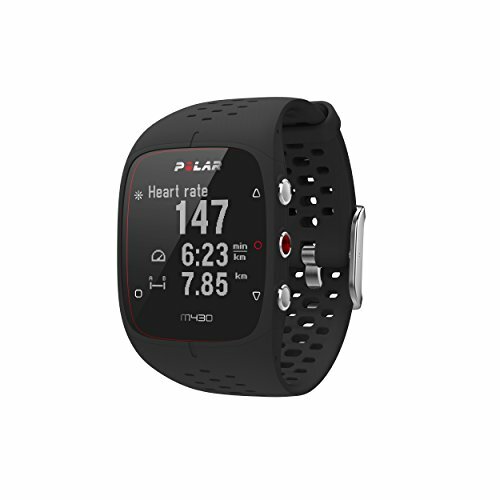 It also has the Polar Flow app that lets you easily record and analyze various sports activities, making the M430 one of the best fitness smartwatches out there. The Steel HR is a hybrid smartwatch available in 36mm and 40mm sizes. It has a stainless steel case, an analog watch display, and a small subdial with digital display. It features a heart rate sensor, an accelerometer, a sleep tracking function, an alarm, a vibrate function, various workout modes, and smartphone notifications. It also has both GPS and Bluetooth connectivity options. 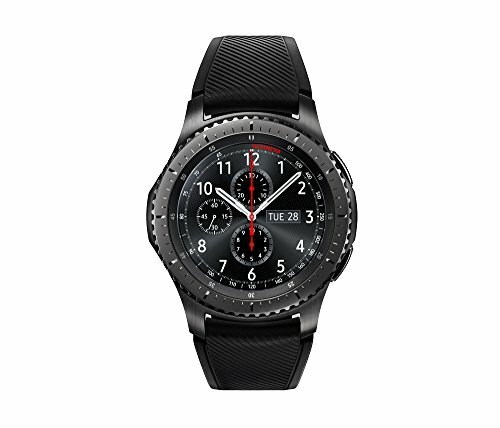 The 46mm Gear S3 Frontier features a Gorilla Glass crystal, an active silicon strap, a Super AMOLED display, a 1GHz dual-core processor, 4GB internal memory, Bluetooth and Wi-Fi connectivity, and a rotating bezel for navigating menus. It has an alarm, a GPS navigation function, an accelerometer, a barometer, an altimeter, a compass, a gyroscope, a heart rate sensor, and a light sensor. It can be used to receive texts and calls and make payments using Samsung Pay. The 43mm Fitness has a sleep tracking feature, a 3-axis accelerometer, a heart rate sensor, an activity tracker, an alarm, a stopwatch, an altimeter, a smartphone notification function, a stress tracker, and multiple sports mode functions. The 38mm Apple Watch Series 3 has a 563 sq. mm digital display, an Ion-x strengthened glass case, and a dual-core S3 processor. It features a GPS/GLONASS sensor, a barometer, an altimeter, a heart sensor, an accelerometer, a gyroscope, and Bluetooth and Wi-Fi connectivity. 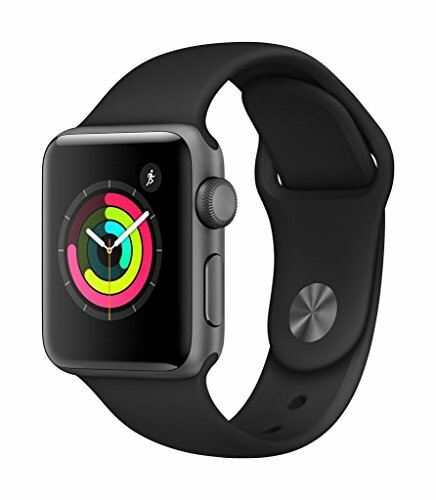 The 42mm Apple Watch Series 2 has a 1.5in OLED Retina display covered with Ion-X glass, a ceramic back, and a dual-core processor. 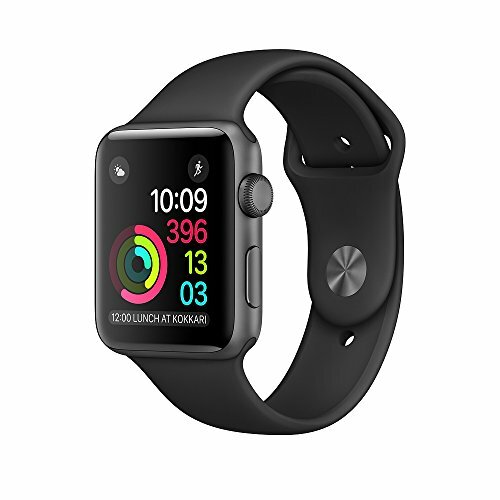 It features a heart rate sensor, a gyroscope, an accelerometer, a GPS/GLONASS sensor, Wi-Fi connectivity, and apps for tracking other sports activities. 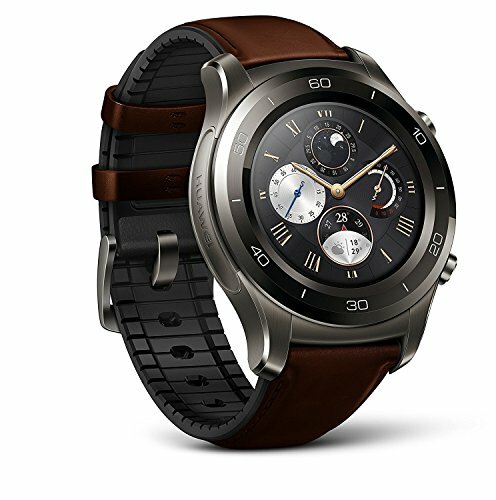 The Huawei Watch 2 is one of the best fitness smartwatches for its price and its wide range of features. 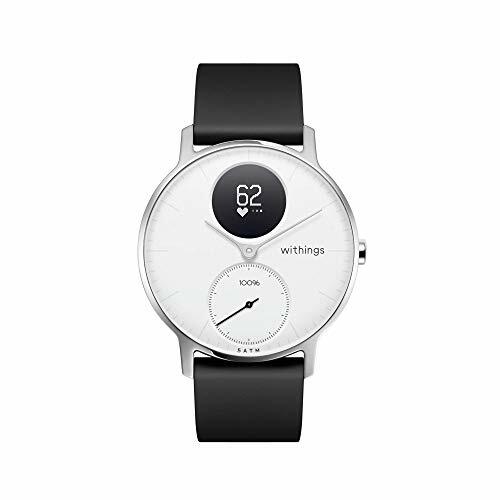 It has a GPS/GLONASS sensor, a barometric altimeter, an accelerometer, a BMI calculator, a heart rate monitor, a sleep tracking feature, an offline music player, and a Workout Coach function. It also has a number of apps designed for monitoring a wide range of workout activities. It can also be connected with Google Pay and allows you to receive and make phone calls. 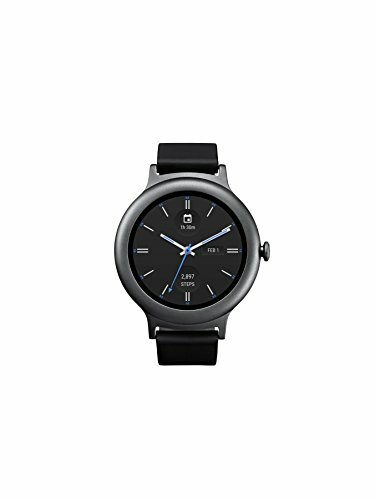 The 45mm Watch Sport has a stainless steel case, a P-OLED display, a rubber strap, and a quad-core processor. It features a timer, a stopwatch, an alarm, multilingual support, and smartphone connectivity via Bluetooth. It’s compatible with apps like the Android Pay, Google Fit for activity tracking, Google Maps for GPS connection, and Google Play Music for music streaming. It supports Wi-Fi connectivity and a 4G LTE carrier data plan. The 43mm Forerunner 645 has a GPS/GLONASS sensor, a heart rate monitor, an activity tracker, a training performance monitor, a stress monitor, and an activity profile selector. It’s multi-functional since you can use it for contactless payment. 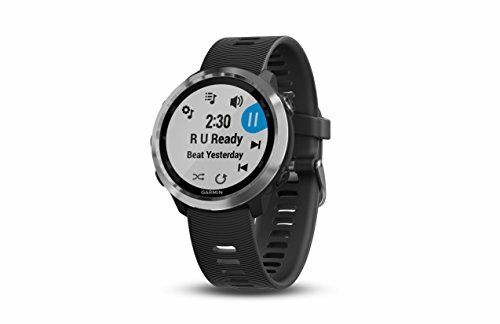 This is the best fitness smartwatch for music lovers since it allows you to store over 500 songs and listen to them using Bluetooth earphones. 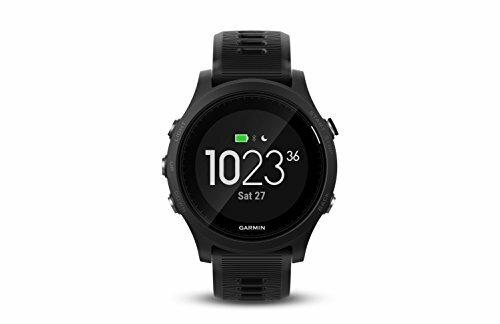 The 30.5mm Forerunner 935 has a GPS/GLONASS receiver, a barometric altimeter sensor, an accelerometer, a sleep monitoring sensor, date and alarm functions, music controls, and Smart Notifications. It’s the best fitness smartwatch for tracking activities like cycling, swimming, and running. It can be connected to your smartphone via Bluetooth and is compatible with Android, iPhone, and Windows systems. The 51mm Fenix 5X has a PVD-coated stainless steel case, a sapphire crystal, and a digital display with a backlight feature. 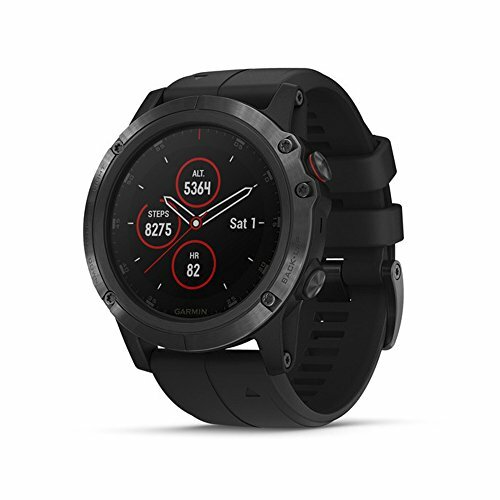 The watch has a GPS/GLONASS sensor, a full-color map feature, a compass, a gyroscope, a barometric altimeter, a heart rate monitor, Bluetooth connectivity, and smartphone notifications. If you’re a workout buff or an athlete, you want a watch that tells more than just the time. An ordinary analog watch just won’t make the cut. What you need is the best fitness smartwatch which boasts a dozen features reliable in keeping track of physical activities. A heart rate sensor, a sleep tracking feature, and various sports modes should be the minimum requirements you look for in a fitness smartwatch. Our list shows the best fitness smartwatches you can find in the market. All the watches we’ve discussed have all the minimum features you should look for in a sports timepiece. Take a look again at the list we’ve come up and you’ll surely find a sports accessory to your liking.